 OneMacomb, which focuses on strengthening community relations through arts and cultural affairs, has announced the As Seen in Macomb scholarship photo contest, which will run through April 26. Seeking entries that capture the beauty of Macomb through photos of the county's art, architecture, nature, places or people, the contest is open to current Macomb Community College students or those in 12th grade who plan to attend the college. Details regarding the contest, including rules and judging criteria, are available at www.weareonemacomb.com. "These photos reflect the people, places and faces of Macomb County as seen through the contestants' lens, and we are excited to showcase each artistic expression," said Rhonda Powell, OneMacomb co-chair and director of Macomb County Health and Human Services. "So we're asking all amateur photographers or those who simply enjoy taking pictures on their phone to consider entering their best image of our community. Whether the focus is your neighborhood or a local park, all pictures will be considered for our significant scholarship prizes." "Macomb Community College students come from all walks of life as well as age groups," said William Tammone, provost and vice president, Learning Unit, Macomb Community College. "This is a great opportunity for our students to reflect upon their relationship with our community and share their viewpoints on the beauty they find in Macomb County, as well as potentially gain financial support for their education." · Promote multiculturalism and inclusion through arts and community affairs. · Strengthen Macomb County's economy by building connections throughout the county, region and world. · Identify and implement multicultural best practices on delivering services to the residents of Macomb County. For more information on OneMacomb, visit the initiative's website or follow it on Facebook and Twitter. Macomb Community College (www.macomb.edu) is one of the nation's leading community colleges, providing learning experiences to nearly 38,000 students annually. Macomb nationally ranks in the top two percent in the number of associate degrees awarded by community colleges and is among the largest grantors of associate degrees in Michigan. The college's comprehensive educational programming includes pre-collegiate experiences, university transfer, and career preparation programs, bachelor degree completion and graduate degree programs, workforce training, professional education and certification, and continuing education and enrichment opportunities.